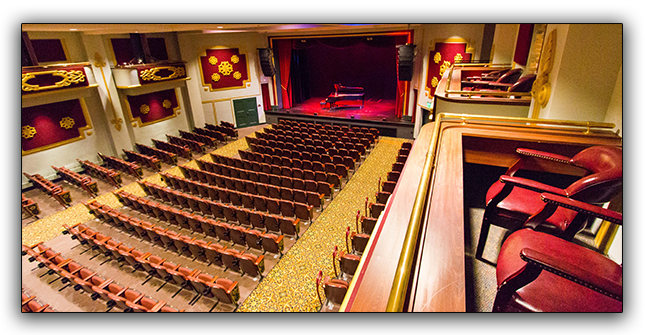 A limited number of Luxury Boxes are available for single event purchase by calling Adam Burr at 727-712-2717 or e-mail aburr@rutheckerdhall.net for more information. Full season boxes are also available to purchase. The Dress Circle Lounge opens one (1) hour prior to show time and during intermission. Cash bar is also located in the Dress Circle Lounge. Each box consists of (4) seats. When purchasing, you must purchase all 4 seats. One (1) valet parking pass per box. Call 727-712-2717 or e-mail aburr@rutheckerdhall.net for more information.